A complete print shop that offers Sublimation, Silk Screen, Vinyl, and Transfer images, for all your apparel needs. Batteries and Bulbs repairs broken Apple devices, including iPads, iPhones and iPods, most Samsung devices and many more. They have thousands of batteries, including ones for cars, boats, motorcycles, cell phones, laptops, UPS systems, flashlights, wheelchairs and many more. They also have hundreds of energy efficient light bulbs, including CFLs, LEDs, Halogens, tubes, ballasts and more. Business accounts are welcome, and they recycle batteries, bulbs, and electronic devices, too. Kneading You offers therapeutic, prenatal, deep tissue, hot stone and hot oil massage, as well as cupping, aromatherapy, and Reiki. A leading provider of innovative and extensive career services for Native Americans. The mission of Rendezvous Performance Theater is to provide professional instruction and to have a positive environment to learn and build self-esteem through the performing arts. 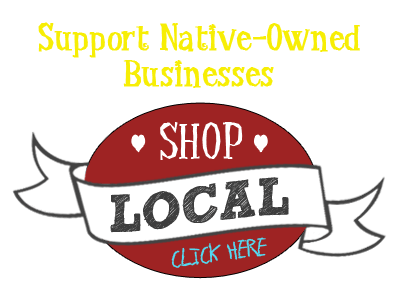 A Native American-owned women's clothing boutique. Sleek Concepts Custom Crafts in Bismarck, ND, designs and develops handcrafted cards, invitations, wedding menus and table arrangements.